Raised edges and a smooth surface on the cook-top help with your after meal cleanup. Next time you cook a meal and some of the food escapes, the mess will be contained and will come off with minimal effort. No matter how chaotic your kitchen might be around meal time, this easy cleaning cook-top will only be a small task to make spotless. Check on the progress of your meal without having to open the oven door and release the heat. The large window on this oven grants you the ability to do just that. Keep your food cooking when it’s time to check on the progress, and keep the oven at an ideal temperature. The only time you need to open the door now is when your meal or baked goods are ready and just the way you like. This 5.1 cu. ft. capacity gas oven range combines convenience and power. 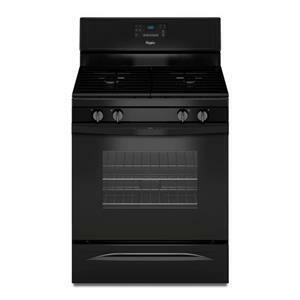 With four sealed burners and a powerful broiler, you'll be able to cook all the favorites your family adores, and be equipped for any unexpected guests that may pop in.Its cooktop is versatile enough to give you control at all temperatures, and efficient enough to prepare food without wasting energy. Furnished with electronic oven controls, large window and light keep you updated on the status of your dishes at all times. The Gas Ranges 5.1 cu. ft. Gas Oven Range with Sealed Gas Burners by Amana at Pedigo Furniture in the Livingston, Onalaska, Trinity, Coldspring, Corrigan, Huntsville, TX area. Product availability may vary. Contact us for the most current availability on this product. Total Oven Capacity 5.1 Cu. Ft.
Amana gas ranges feature the convenience of convection cooking, hidden oven burners, continuous grates and an extra-large oven window to save you time and energy at home. Sure fan convection gets the brown on your brownies nice and even, but more importantly, it gets them done more quickly. 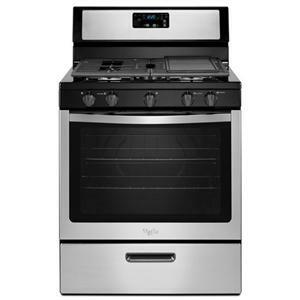 The Gas Ranges collection is a great option if you are looking for Appliances in the Livingston, Onalaska, Trinity, Coldspring, Corrigan, Huntsville, TX area. 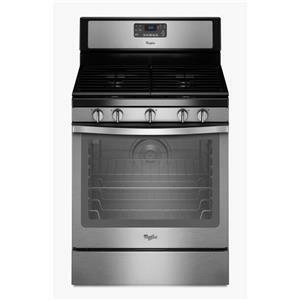 Browse other items in the Gas Ranges collection from Pedigo Furniture in the Livingston, Onalaska, Trinity, Coldspring, Corrigan, Huntsville, TX area.